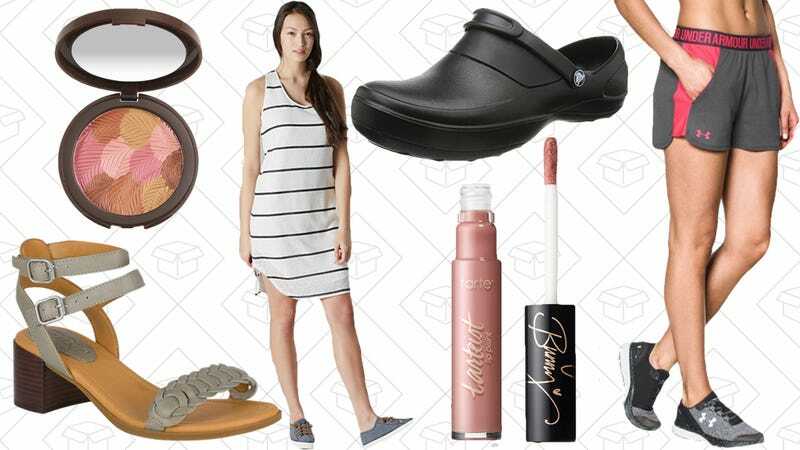 Crocs on Amazon, a Tarte Cosmetics Flash Sale, extra discounts on Under Armour Outlet styles, and more lead Wednesday’s best lifestyle deals. Tarte Cosmetics is one of those brands that is always in my makeup bag. Right now, they’re giving you up to 70% off 70 select items, no code needed. Grab limited editions of their Tarteist Lip Paint or Amazonian Clay 12-Hour Blush for a lot less than normal. But it only runs for 48-hours, so you’d better act quickly. Sperry is ready to cannonball into the summer with their Semi-Annual Sale. Take up to 50% off a ton of styles (including swimwear), no code needed. There are a bunch of open-toed sandals and heels, their classic boat shoes, plus some sunglasses as well.